It’s either a world of ruined cities, with people driving around the wasteland on an old washing machine mixed with a lawnmower and a V8 engine, headbanging away to powerful rock music, dressed in designer grunge gear, and ready to kill you over a can of baked beans. Or there’s the future where everything is shiny, but the government is an evil dictatorship using human babies as money. But there is one other type of future… one full of surprises… the one like that told in Fumiko!. 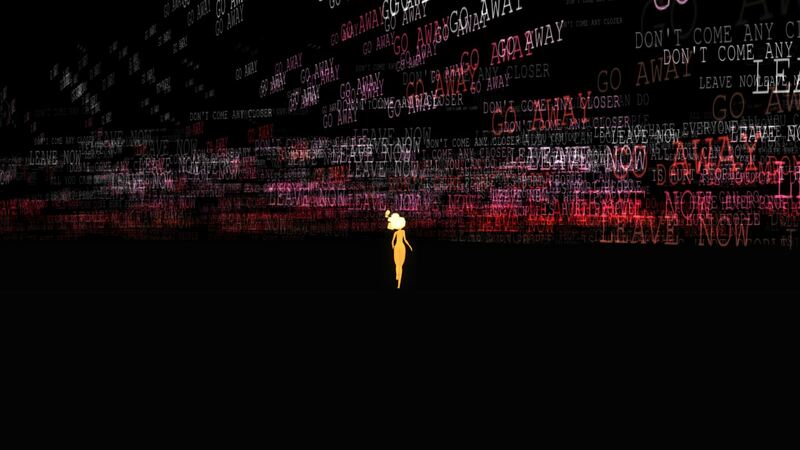 You play the role of Fumiko, a kind of computer AI who had her memory wiped and is lost in a huge online network. A guide, Wilson, is telling you that everything is alright and gives you commands to follow. Soon you question what your role is in creating this online universe and whether you can trust Wilson or not. 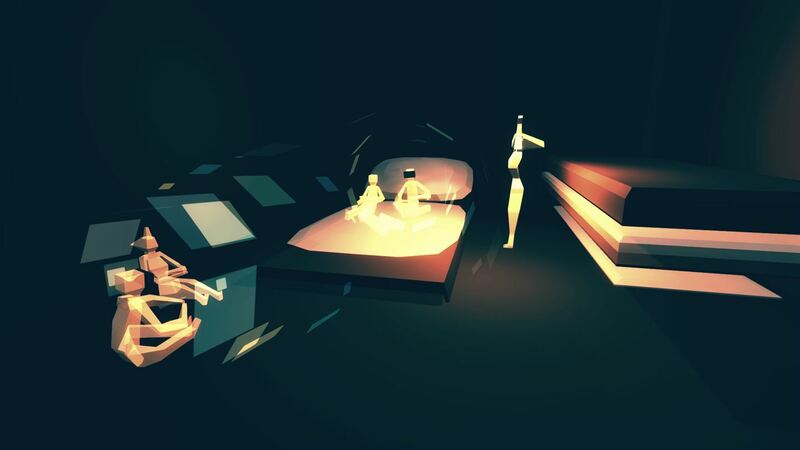 The whole game examines many different themes and thoughts, all based around online social hubs and the people who inhabit them. What happens when that world is destroyed or the online world is bleaker than the real one? Well that’s what Fumiko tries to explain – the writing, narrative thoughts and musings are where this game is at its strongest. There are some brilliant conversations between people and the avatars are very well written and observed. But I’m getting ahead of myself. How do you play and what on earth do you do? Well, Fumiko! 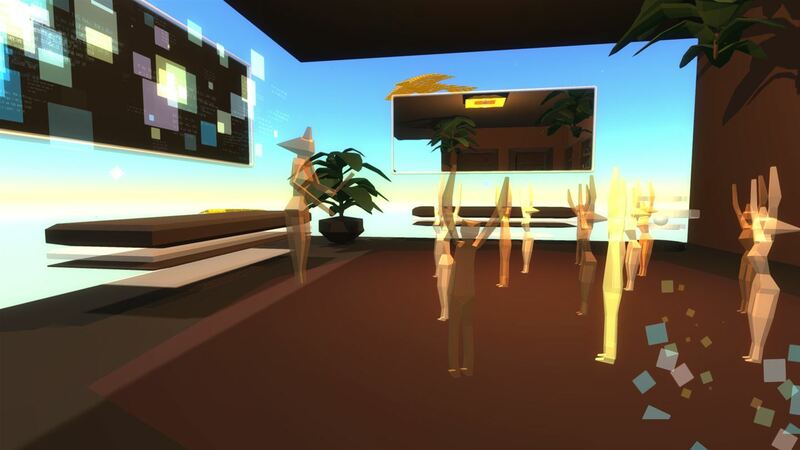 is played in the third person and you start with the ability to interact with people and move around the space. Then you get to be able to jump and this is where a platforming element comes in to play. Add an extra jump, then another jump and another, mixed with a sort of dash and basically you’re flying around the space from one platform to another. Each level gives you a unique purpose and some things to do, but in essence, you just need to get to the other side and enter an exit gateway. But in order to get to each exit – picking up memory fragments along the way – you have to jump, glide and double jump across huge chasms and some tricky level design. In certain places, there will also be antivirus bots that will try to kill you or knock you over the edge into the online depths below. Certain levels see you entering an online social hub, that takes the guise of a city or town. 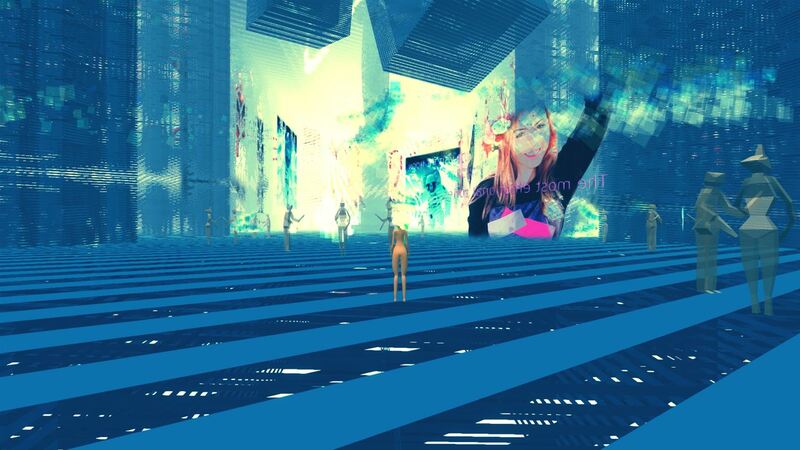 Here you can interact with other online avatars from the real world, as you discover their stories, join in with dance moves and take in some secrets. I loved these areas and really enjoyed the way the story twists when everything starts to go wrong. The gameplay as a whole works very well indeed too, even though the platforming elements can be very challenging. However, it must be said that the camera angles made me feel disorientated and a bit sick, and there are some platforming opportunities that verge on the annoying rather than the fun side. The exploration areas are much more rewarding than the straight linear moments, but the world as a whole is so compelling and interesting, that you just have to find out what is around the corner, with secrets revealing how this has all come to pass. The game is quite a long experience as well – particularly for an indie title – giving a good 7 to 9 hours of game time. Getting all the fragments will be very hard to achieve and may push you even beyond those marks, but if you’re not interested in them, you can just focus on the story quest at hand. Fumiko! has the look of the early 2000s about it, when the internet was young and they had social hubs like this, with similar looking avatars. It also reminds me a bit of Rez, mostly due to its amazing use of colour, level design, and space. The level creation itself is quite brilliant and imaginative. Over in the sound department, the game has a dreamy, trippy other world soundtrack that takes you through the levels perfectly and is something I would happily find myself listening to in the car. It’s another great bit of work. Fumiko! is right up there with one of the most original games on Xbox One, but it is very hard to describe. Remember the ‘90s VR film “The Lawnmower Man”? It has some similar themes to it and it’s the closest I can get to a similar genre. The story, looks, and sound are great and for under a tenner it is well worth its value. The camera can get very annoying and certain levels are rock hard though, but if you like a good platformer and want something different then come and join Fumiko in her search for the online truth.